Now that winter is over, we can reminisce on all the good times that we all shared: building snowmen, skiing, skating on a pond, clearing all the snow and ice off of our cars. Wait, not that last one? We are pretty sure that no one is a fan of waking up an extra twenty minutes early in the morning to clean off their vehicle before work. How about having to wash your car more often because the birds in the tree above your driveway like to use it as target practice? Not a fan of that either? Wouldn’t it be nice to park your vehicle inside a safe, bird and snow-free garage? Your house doesn’t have a garage you say? 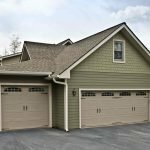 Perhaps it’s time to consider adding a garage to your existing home. 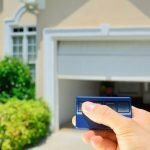 So, the benefits of adding a garage sound great, what is the first step to take? As a homeowner, you should crunch some numbers before diving into a complicated project like an addition. It is estimated that a simple double car garage add-on could cost about $40 per square foot. This includes the costs for concrete foundation, the actual structure, roof shingles, vinyl siding, windows, overhead doors, entrance door, electrical wiring/lighting and specialized labour. 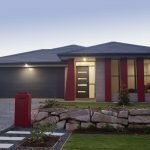 You will need to decide how big your new garage might be. 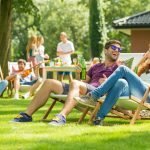 For a single car, you would want the structure to be at least 15 by 20 feet, and for two car garages, the bare minimum is around 20 by 24 feet. At this stage of planning, keep in mind any extra space you may require to fit in items such as a workbench, or yard tools. An average example could be a double car garage addition, let’s say 25 by 26 feet (650 square feet). You can estimate the total cost of a structure like that to be around $26,000 (650x$40). This figure may seem large at first, but remember you are increasing the size and more importantly the value of your home. Expect an approximate return on investment of 80% when you go to sell your home in the future with this new addition. 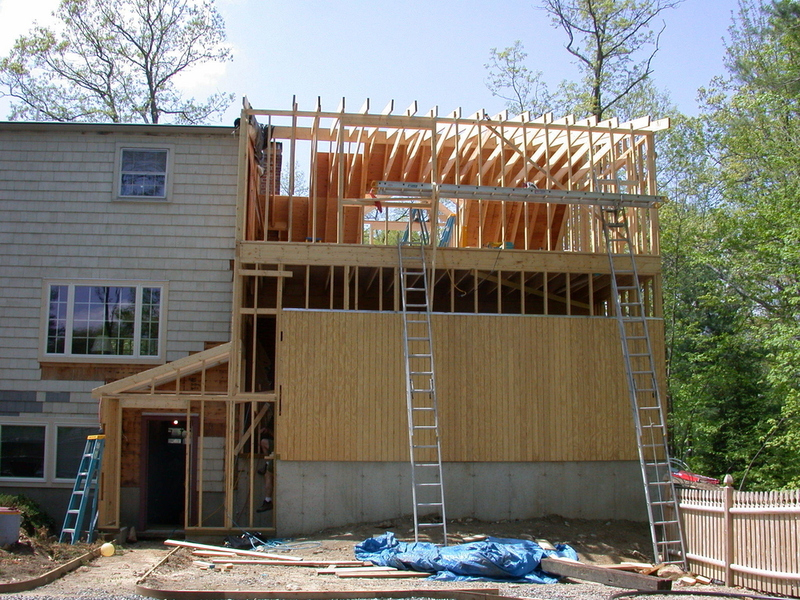 The calculations above have not factored in the finishing of interior ceilings, walls or floors. Also, if you wanted your garage heated, that would be an additional investment. In order to park your vehicle in your brand new garage, you will need a driveway leading up to it. You existing driveway may work, although in most cases, an extension will be required. 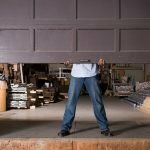 Experts consider the minimum width of a single car garage driveway to be 10 feet, and 20 feet for a double car garage. If the area next to the location you plan to build your drive way is obstructed at all (bushes, trees etc. ), ensure you make your driveway a little wider to allow room for opening car doors and moving around your vehicle. 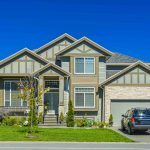 In British Columbia, an asphalt driveway will run you anywhere from two to six dollars per square foot, where a concrete driveway is a little more expensive at around five to ten dollars per square foot. The cost for the accompanying driveway to your new garage will vary depending on the layout of your property and distance from the road. After doing some basic estimations with the financials, the next step would be to ensure your property is able to receive a home improvement of this magnitude. It is recommended that you take a trip to the planning department of your municipality and explain the project you are attempting. They should be able to tell you how close to the edge of your property you are allowed to build, while also providing information about any special permits or restrictions that may apply to adding a garage to an existing home. If you are hiring a contractor or builder to tackle the project, they should be up to date with the requirements of your area. If you live around Nanamio, you can always give us a quick call at Alpha Doors if you need recommendations concerning your project. Now that you have all your finances, planning and permits in order, you are finally ready to build. If you are on a tight budget and are not in a rush to have your garage put up, you can take some time to find the materials you need. Just as Christmas decorations go on sale after New Years, some building materials will fluctuate in price throughout the year. If you want to get this project underway quickly, let your contractor take care of securing the materials required. This will be a lot easier for you as a homeowner, taking away the stresses of moving materials to and from your home. Anytime of year is a good time of year for your addition as long as you are ready with finances and permits. You may be able to strike a bargain if you plan to build your new garage between January and March. Builders and contractors tend to be less busy this time of year, so you may be able negotiate a deal, or at least have the project completed in a timely manner. An added bonus is that the ground is frozen and the air is dry this time of year, which is actually great conditions for pouring concrete and digging. Without having to fight through muddy conditions and “rain days”, the builder will be able to have your new garage up in no time. You are now ready to create the garage of your dreams. Happy building from the team at Alpha Doors! Remember, if you have any questions about garage doors or need one serviced/repaired, we would love to hear from you!